Unfortunately, though I have been away for quite a while, I don't have much to share with you all. 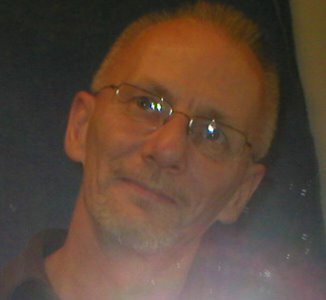 I did want to get your opinion though, so I thought I would post some crappy pictures and ask your advice. 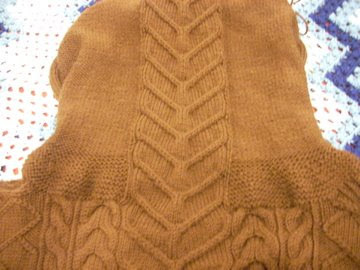 As you may or may not recall, I have been working on Elizabeth Zimmermann's Saddle-Shoulder Aran Cardigan. I suppose I should say had been working on it, as I haven't touched it for about a month and a half now. All I really needed to do was cut the front steek and knit on a button band, but I kept putting it of. I've recently realized why. I don't think I like the hood. 1. The rows of garter stitch at the bottom don't really look like they belong. Granted, the cuffs, button band, and bottom of sweater are (or will be) in garter stitch, so maybe it will work, but I'm not completely convinced. Oh, also, because the gauge is so different between my stockinette and my cable pattern, I had to decrease a ton of stitches in the garter, which is why it looks kind of lumpy. I'm not a fan. 2. The fact that the entire sweater is covered in cables and there is no reverse stockinette to be seen anywhere makes me think this hood doesn't fit with the sweater. 3. The single knit stitch on either side of the cable needs to go. I put it there so that when I started doing k2togs at the top to form the hood, it would naturally continue this knit stitch, but I think I can work my way around that. Should I rip out the hood and start over? Do you have any suggestions for fixing the issues I currently have with the hood? I really just want this sweater to be done so that I can start wearing it before it gets too cold! Yes, I can wear it under a coat in the winter, but where's the fun in that? Remember this yarn I purchased from Theytoldmesew's Etsy Shop a while back? Well, I believe it may be time to end this yarn's lengthy term of "table art" and turn it into something more functional. Now, I've been saving it so that I could use it for something really cool that would show off the colors and do the yarn justice, but no such project has come along. Any suggestions? This is only 215 yards of heavy worsted/bulky yarn (6.5 oz. ), so I can't do much with it, but I do want it to be nice. I've lately been thinking of turning it into Thorpe. Is that too plain for this yarn? I'm not sure what to do with it. 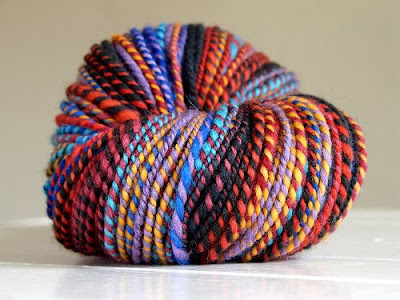 Oh, also, as promised, a project made out of Malabrigo Chunky. 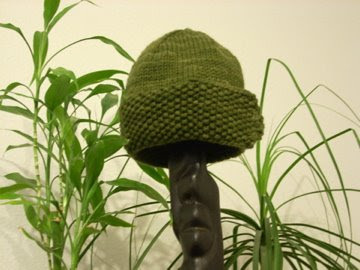 This is the Robin's Egg Blue Hat, in green, obviously. It used nearly an entire skein of Malabrigo (I was worried at the end that I was going to run out), in the Emerald colorway. I still have to find a button to hold down that flap, but I'm calling this one done. I may post better pictures when I find a button. This hat is destined to become a birthday present for a friend. Her birthday isn't for another two months, but I needed a quick project. There were a few things about this pattern that I didn't like, but overall is was very easy and quick to knit. I'm really itching to get something on the needles again besides that lace shawl I'm knitting out of, oh, did I ever tell you guys about that? Hmmm.... there may be another post coming in the next few days if I haven't. It'll be good. ...I digress. So I've been really wanting to knit something because I don't really have any projects going, but none of my yarn looks tempting and I can't find any patterns that make me want to cast on right now. Hopefully I'll find some inspiration soon. I think it's just that school has filled up all my free time and I would much rather rest when I can than exercise my mind with knitting. C'est la vie. And a non-answer on the hood, because I know nothing about hoods. Thorpe and the handspun look like a good match. My basic rule: the busier the yarn, the quieter the pattern. Restful knitting: I always have a plain sock on the go for those times when my fingers want to move but my brain doesn't. Boring, likely, but not everything has to be fantastic. Something simple in garter stitch serves the same purpose. Looking forward to seeing the lace! I would rip it out and knit it again without the garter stitch, and only if you're going to also continue the side cables. Is there a way that you can make the side cables run into the side of the main cable at the top, instead of running along the top of the hood too? I would stick with stockinette for the rest of the hood. Also, I agree with Dave: busy handspun should go with a plain pattern, and that hat looks like a good one. You know, I don't think I like the hood either. I think on cabled sweaters, I have a preference for cables that go up along the sides of the hood instead of ones that go straight up the back of the head, but I'm not sure how easy that would be to execute here. I'm with dave on the idea of knitting Thorpe with the handspun.